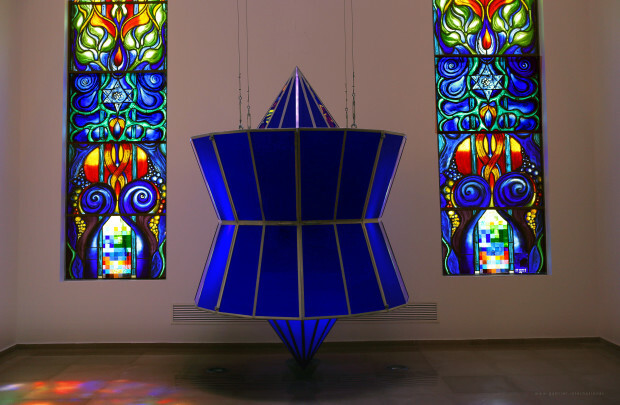 The German artist Gabriel has been currently working on the new Sheba Synagogue art project — located in the main lobby of the most comprehensive medical center in the Middle East. 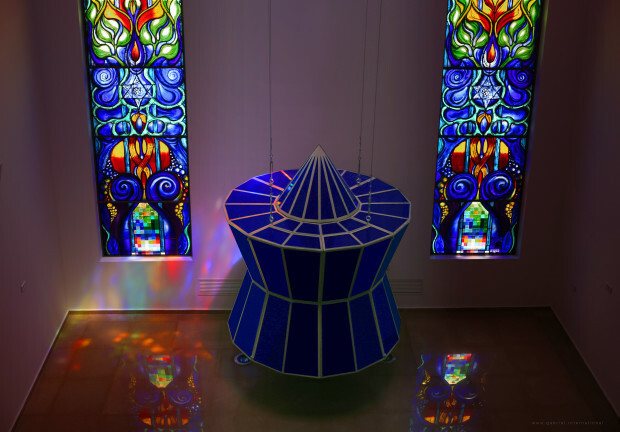 Stained glass windows and objects, which profoundly touch the contexts peace, hope and consolation. The Chaim Sheba Medical Center is the most comprehensive medical center in the Middle East. The current construction of the new Sheba Synagogue triples the size of the old one. 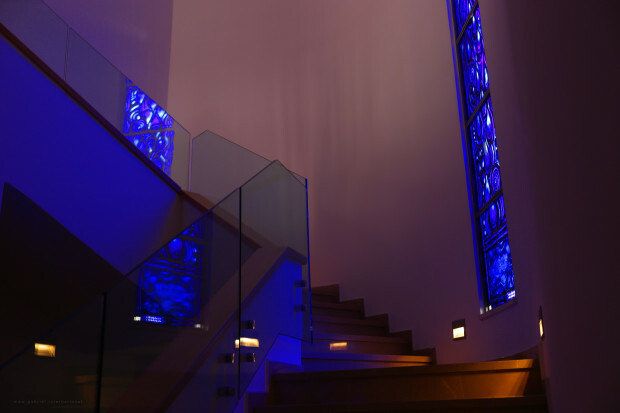 A new concept and architectural design, adding a second floor and integrating the unique glass art of the German artist. In 1959, Marc Chagall was commissioned to create 12 windows of the then largest Israeli hospital “Hadassah”. At the inauguration in 1962, he said: “My hope is that through this, I may extend my hand to the culture seeking poets and artists among the neighboring peoples.” After this, he designed many glass windows with his French partner and friend Charles Marq in collaboration with the Jacques Simon Workshop in Reims and the unique, mouth-blown antique glass works in St. Just sur Loire. He completed his crowning achievement in the St. Stephan’s church in Mainz. Chagall’s windows in Germany were a very personal statement after the Holocaust and Nazi Germany: a gesture of goodwill from a Jewish artist connecting and bridging Jewish and Christian faiths. Chagall finished this German-Jewish project in Mainz shortly before his death. Mainz is also the birthplace of Yvelle Gabriel, where he was baptized in 1969. For many years, the artist had a vision of continuing Chagall’s very special work. Now he is able to pick up this delicate thread and return it to the “Holy Land”. During a tour in 2017, my Israeli Studio Partner, Gilles Florent, and I purchased some unique antique glass from the last French glass works, St. Just. In April 2017, we visited the Studio Marq in Reims, where Marc Chagall once built his windows for Israel and Mainz. 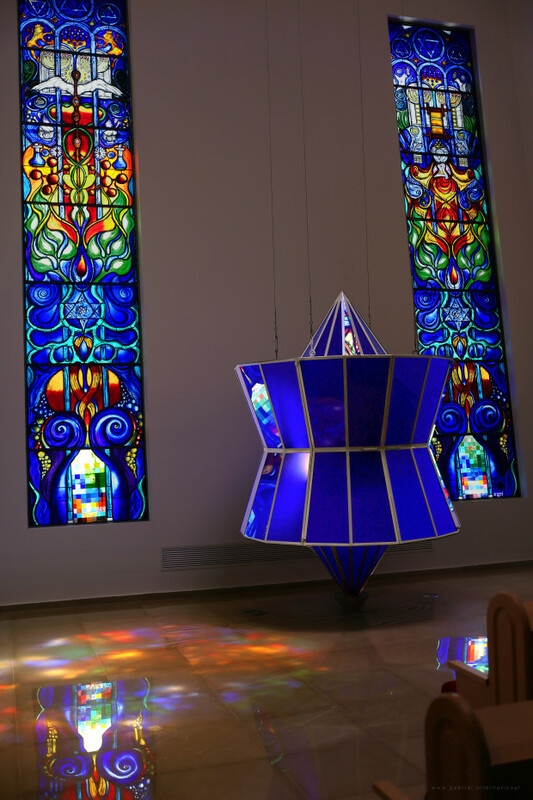 Here the inaugural piece of the front windows was created and transported to Israel: “the Jewish flame”. Later in the year we opened our new Glass Studio in Ramla — inside the old Templar building of the Arab metal artist Nihad Dabeet, who was building all the metal structures. I am only too aware that my work will lead to controversy after its installation in 2018. 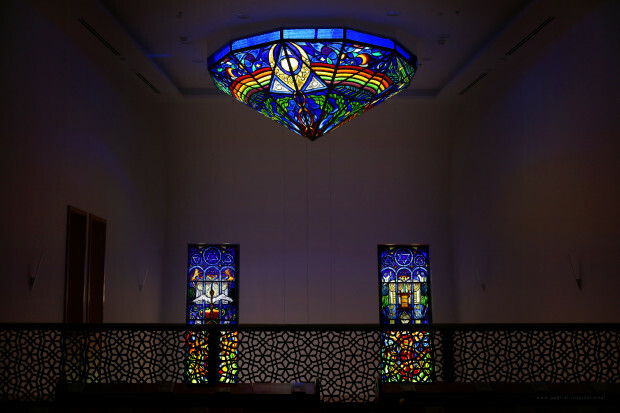 A German artist, a non-Jew, creates the windows of the Orthodox synagogue — the spiritual and religious heart of the most important Jewish clinic in the Promised Land. But, for me, the focus will be on a peaceful completion of deep generational reconciliation, peoples and nations: A world-embracing artist, whose heart and soul artistically builds bridges between all cultures and religions — in the spirit of Chagall. 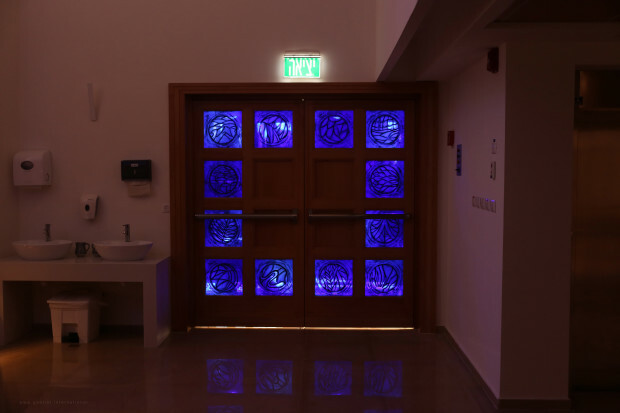 I am dedicated to this art project for the Jewish synagogue, in the largest Israeli hospital — a place of healing and recovery, especially for all Jews — it is a great opportunity. On reflection, for me personally, the conciliatory circle is symbolically complete. A reaching out of hands in the healing process of our own German past — between successive generations of Christians and Jews, a “generation of grandchildren” — German and Israeli. You are Welcome!